Officedrop provide high quality office fruit and snack box delivery in Southampton, Portsmouth and the surrounding areas. Our knowledgeable and experienced team inspect, buy, check, hand pack and deliver fruit boxes to a wide variety of workplaces across these areas. Our service is completely flexible and affordable, but it’s not just healthy snacks that we deliver. Keep your office kitchen well stocked with cost-effective milk deliveries plus goods like tea, coffee, sugar and bread. We also deliver beautiful seasonal flowers to freshen up your meeting room or reception area. We deliver to the Southampton and Portsmouth areas on Mondays and Wednesdays. Our vans hit the road early in order to have your fruit boxes with you before 11am. We also work with our trusted partners to get other office essentials delivered when you need them. Rather than the energy rush that sugary snacks deliver, the natural sugars contained in fruit allow faster thinking, greater alertness and longer concentration. Reap the associated productivity and performance rewards for both employees and employer with Officedrop’s friendly and reliable service. 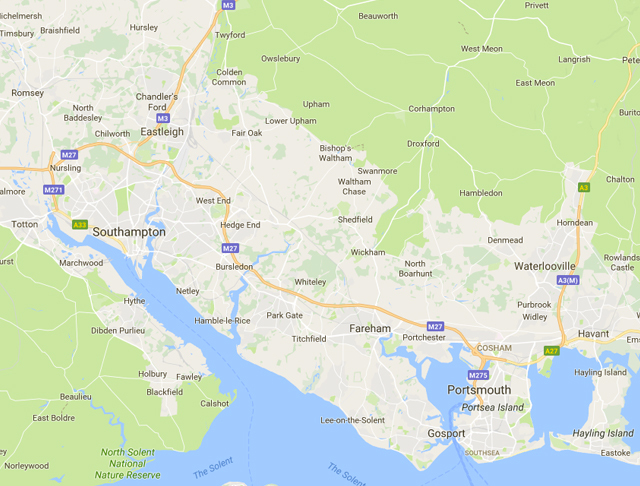 For more details on how our office deliveries in Southampton and surrounding areas can save you time and effort, please call us on 0333 358 3310. Fruit Facts! Around 700,000 cars are exported through the Port of Southampton every year – approximately the same number of pieces of citrus fruit that we include in our boxes annually.